Two elderly women were beheaded in Papua New Guinea after enduring lengthy torture, a report said Monday, the latest in a string of sorcery-related crimes. Police were present during the killings last week, but were outnumbered by an aggressive mob and were unable to prevent the horrific deaths, The Post-Courier newspaper reported on Monday. "We were helpless. We could not do anything," Bougainville police inspector Herman Birengka told the paper, saying his officers were threatened with violence when they tried to secure the women's release. The mob accused the pair of using magic to kill a teacher. 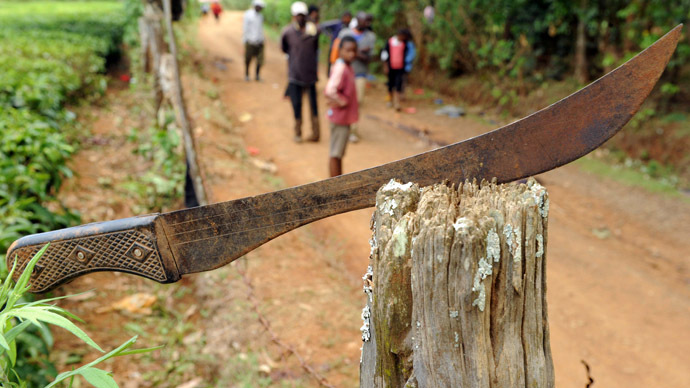 "The two women were rounded up and taken to Lopele village after they were suspected of practicing sorcery and blamed for the death of the former teacher, who was from Lopele village," he said. The killings were "barbaric and senseless," Birengka added. The victims, whose identities have not been released, were tortured for three days, suffering knife and axe lacerations, before being beheaded in front of police who had been called to the village to rescue the women, the report said. The murders come just days after another report that six women accused of sorcery were tortured with hot irons in an Easter "sacrifice" in the Southern Highlands. 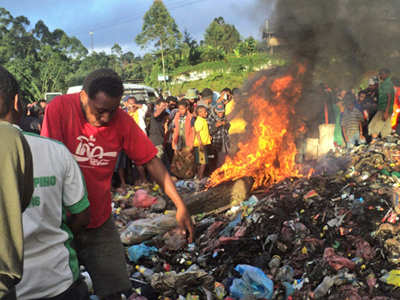 In February, a young mother was stripped naked, doused with gasoline and set alight in the Western Highlands town of Mount Hagen as hundreds of onlookers gathered. The woman, aged 20, had been accused of causing the death of a young boy. The case attracted global attention after images of the woman’s body burning on a pile of rubbish were published. Amnesty has urged the government to make more effort to end the spate of incidents in a country where belief in sorcery is widespread.